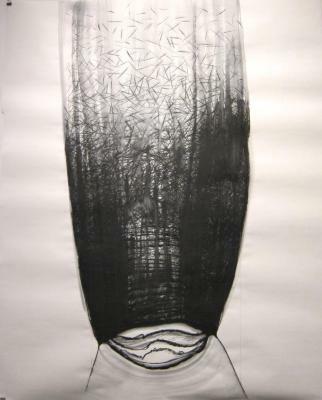 Kamran Taherimoghaddam, Man at work (cover), Charcoal on paper, 4 ft X 5 ft, 2009. Kamran Taherimoghaddam, Untitled print, Aqua forte, 12.5 in X 18.5 in, 2004. Kamran Taherimoghaddam, Untitled print, Aqua forte, 12.5 in X 18.5 in, 2003.